Sometimes we transition very smoothly from one phase of our life to the next without even noticing that a change has occurred. Other times instead we are very conscious and aware that a big change just took place that will have deep and far reaching reverberations. The arrival and departure of illness in my life falls into this second category and separated my life into 3 distinct phases: a healthy childhood, being very ill during adolescence and young adulthood, and the recovery of health as an adult. Both time periods when I was healthy were filled with joy, but the second, later, joy has felt very different to the first one because I experience it with a deeper appreciation for my body, its beauty, and the person that it allows me to be. Genova, Italy (1978). 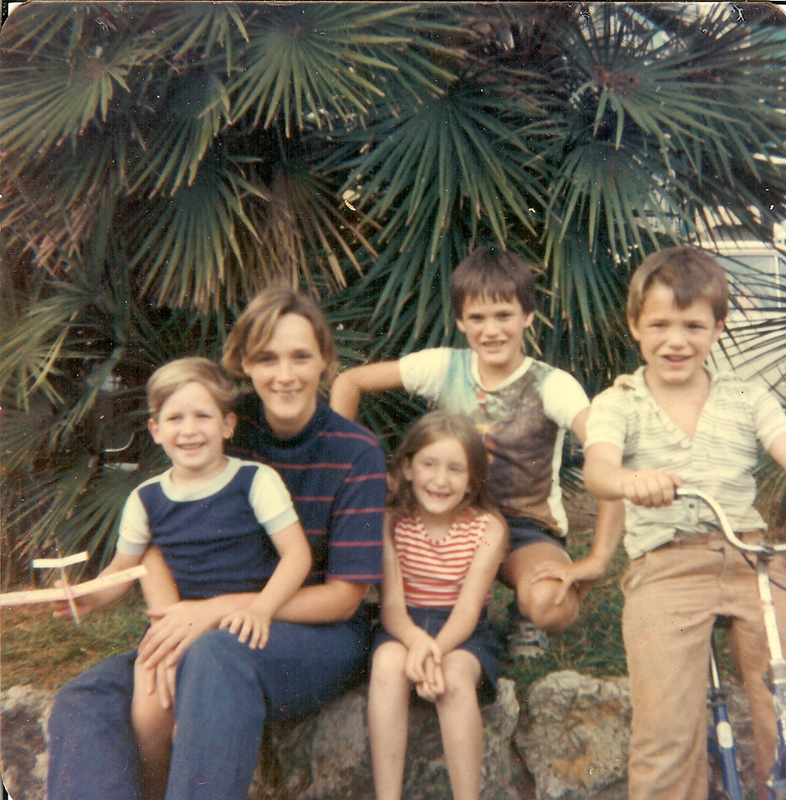 My mother, with my brother (back row) and myself (on bike), with two childhood friends. we often horsed around, played, and fought with each other just as a way to entertain each other. We competed for attention, bragging rights, and for silly things like the best seat in front of the television. Days were careless and we were afforded many liberties and few restrictions. Genova, Italy (1975). 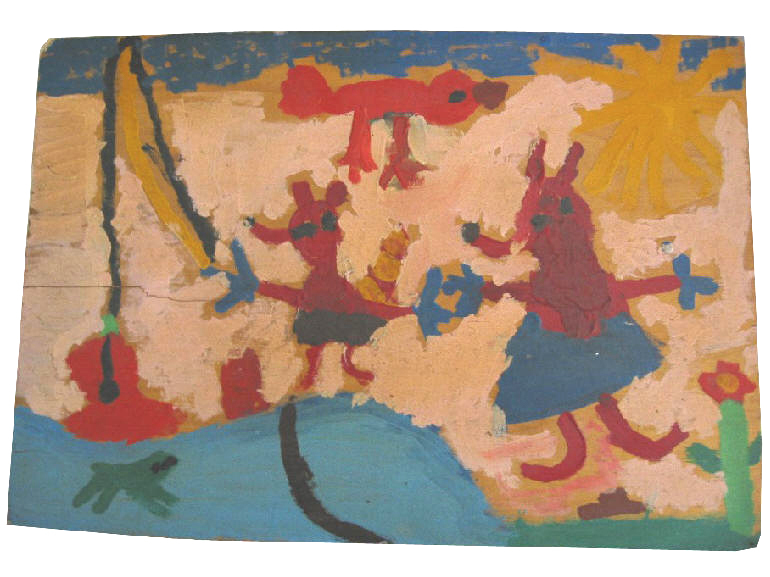 Painting I did in kindergarten at the "Scuola Svizzera" school depicting a story I heard about beavers. As the youngest of three brothers, I became "the cute one" in the family, and this got me a lot of positive attention. I became (and still am) very affectionate and extremely social. I enjoyed engaging people and going up to strangers just to say "hi". I felt like I was at the top of my game, that I owned the city. My brothers and I shined as children abroad in Italy, because against the backdrop of the more conservative and reserved Genovesi, we embodied and brought to light some of the best American qualities: naivete, exploration, and optimism. The memories from this part of my life would prove to be essential to surmount and live through the next phase when adveristy arrived. 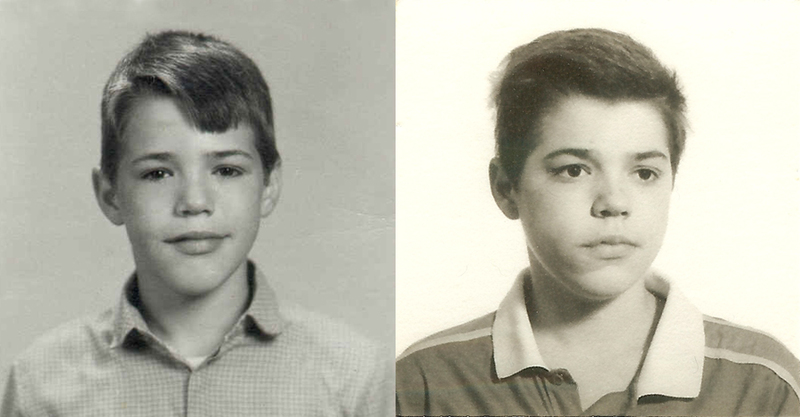 Photos taken in Italy before becoming ill (left), and in Argentina after starting treatment with anti-inflammatories that made my face swell (right). Around the time of middle school we went through another immigration, on this occasion from Italy to Argentina. This is where I became sick, and I would stay ill for a very long time. It happened very suddenly. I was 13 years old and I remember standing in a very small bathroom at home. It was dark and poorly lit, so at first I did not know if what I seeing on the toilet paper was blood. But it was. Buenos Aires, Argentina (1984). 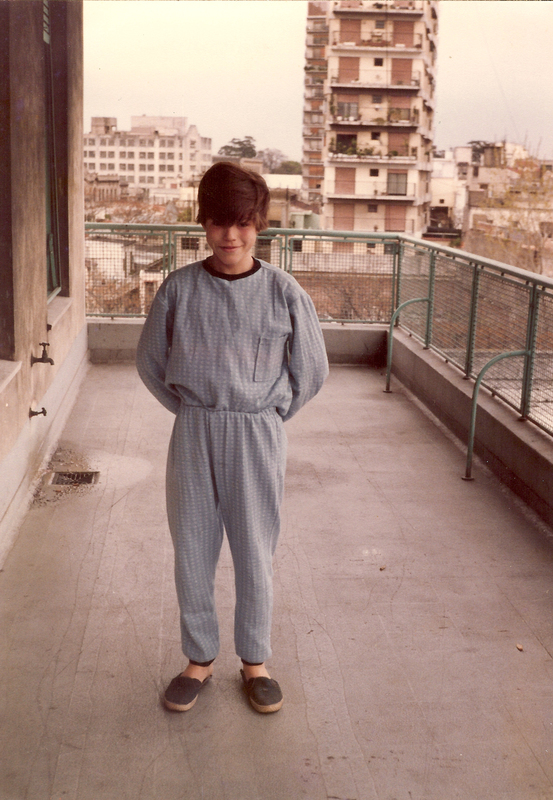 Photo taken on the balcony of the Hospital Británico, where I stayed for one month awaiting a diagnosis (and a haircut apparently). of Buenos Aires with ulcerative colitis, an illness of the lower bowel, and for the next 12 years I would be running to the bathroom with diarrhea, 10-15 times a day, often with blood, I would have stomach cramps so strong that I would pound my fist against the bathroom walls just to distract myself from the intense pain with a different sensation. Episodes where I soiled myself were common place and I had to carry around extra underwear or return home from school or excursions to clean up. These were by far the most emotionally trying and physically draining years of my life. Nothing I have faced since compares to those challenges, and at the time I truly felt hopeless. Sometimes I wish I could hop into the time machine and meet up with the teenager version of myself. I would kiss that boy from head to toe and thank him for being so brave and for toughing it out. While in Argentina I was put on a regiment of sulfa drugs and high levels of cortisone to lower the chronic inflammation of my bowels. The side effects of these medications included minor things such as water retention with rounding of the face and scaling and flaking of the skin, to more severe ones such as slowing my development during adolescence. In order for me to start growing again, the colitis treatment had to be tapered back and my hormonal system kick-started. I had been stuck at a height of 1 meter 53 centimeters for 4 years while my classmates all around me were growing taller and maturing sexually. The counselors at school were telling us "you will notice your bodies changing and you may feel awkward at times". Well, I was feeling awkward because my body was not changing, and when I finally did, I was so happy. San Francisco, California (1996). Surgery at the University of California at San Francisco. The colon is out; now what? San Francisco, California (1996). Post-surgery recovery. One more shot of morphine, s'il-vous-plaît. 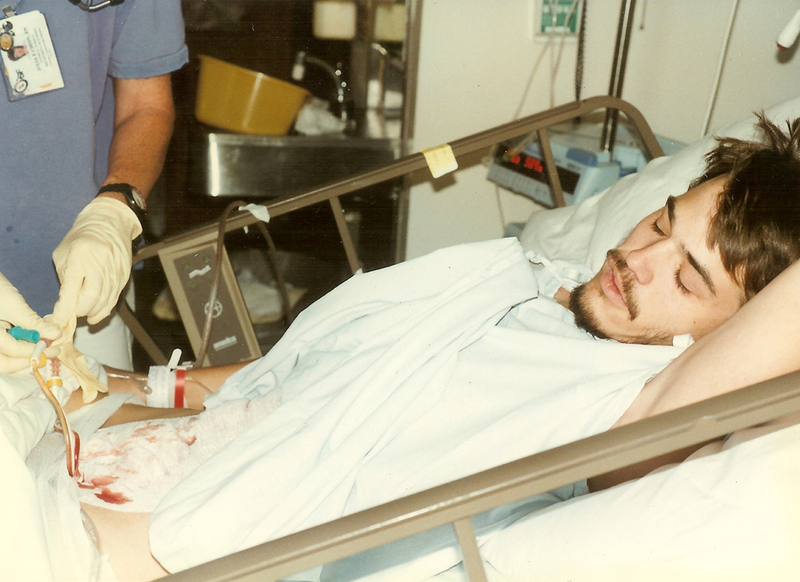 As soon as I graduated high school in Buenos Aires in 1988, I left with my mother from Argentina to come to the States to look for better medical care. 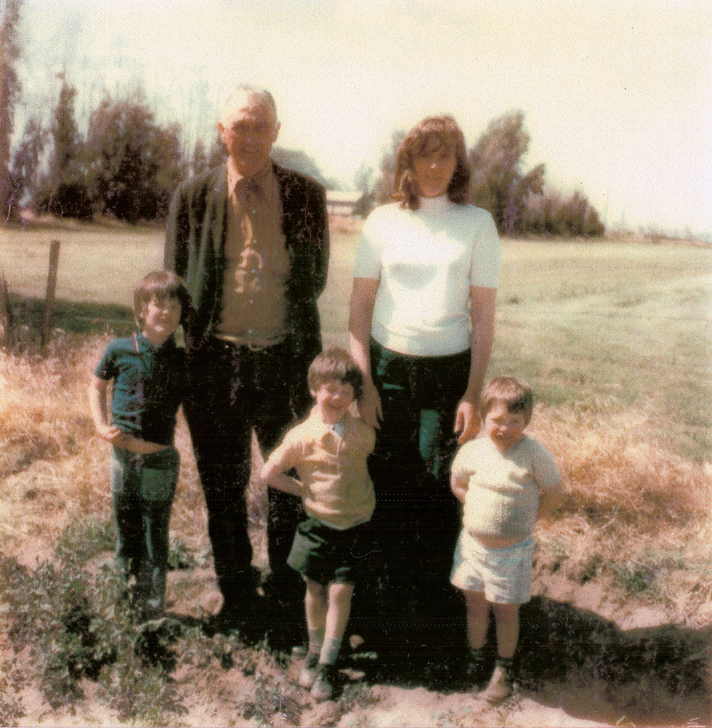 Initially we stayed with my grandfather in a cramped basement apartment in San Francisco. I would struggle with the illness for another 10 years with blood work, experimental medications, doctor visits, and an unending series of sigmoeidoscopies and colonoscopies. When in 1996 I was offered a type of surgery that would provide some stability in my life, I accepted to have it done, even though this involved the removal of my colon. This was one of the most difficult decisions that I made and it is one of the main reasons that I am alive today. The surgery was done in 1996 at UCSF by one of the doctors who pioneered this technique. It involved removing the chronically inflamed colon and using the upstream small intestine to create an internal pouch to store bowel movements. I could then be continent again and go to the bathroom fewer times, I took less medication, and I put on weight. San Francisco, California (1996). 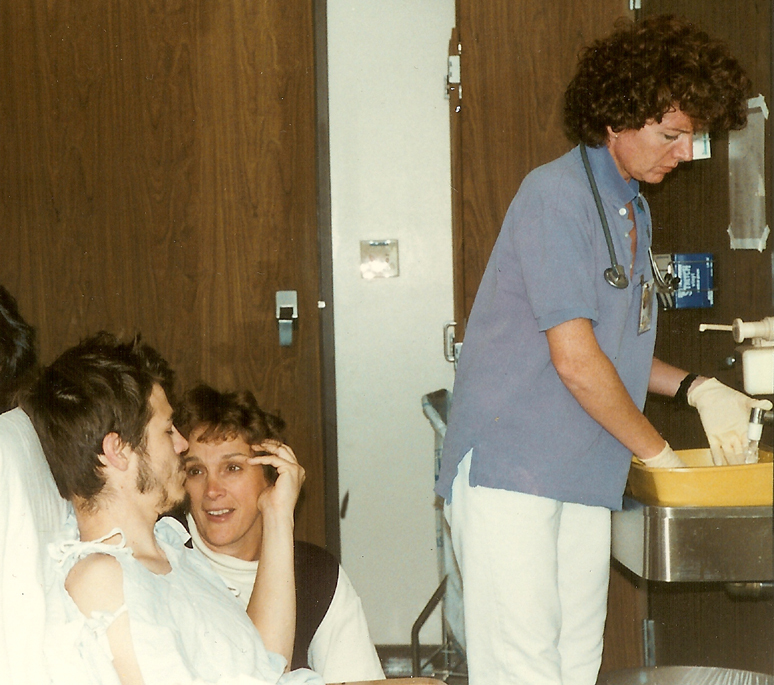 My mother looks on hopeful, as the nurse gets ready to change the dressing after surgery. San Francisco, California (1996). 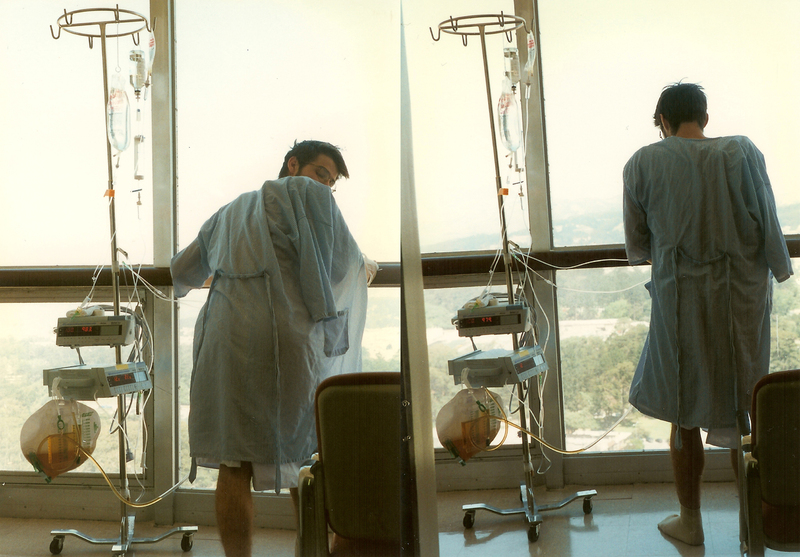 Walking around the UCSF ward to speed up recovery while wondering about the future. The surgery was one of the few times that I felt that I could proactively take charge of my health. And this was important when all else seemed out of control. My situation stabilized for the next 10 years until another breakthrough in medicine helped me reach and to live out the second joy. 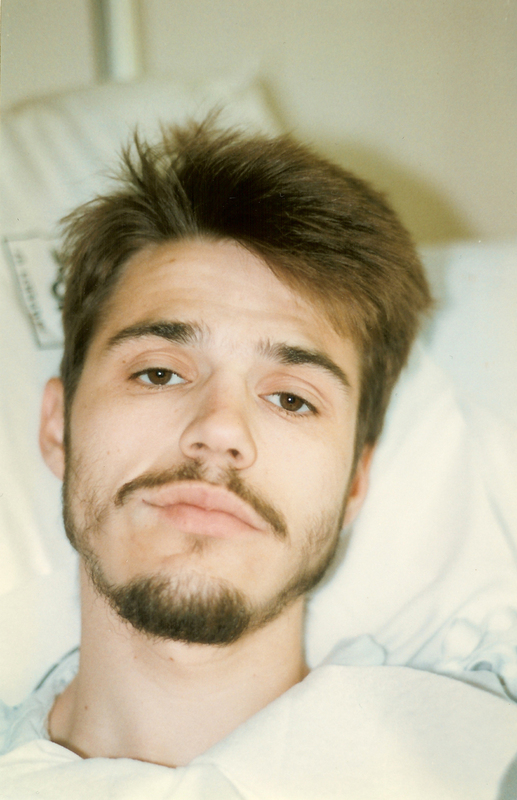 An immensely significant turning point was when the initial diagnosis of ulcerative colitis was correctly rediagnosed to Chron's disease in 2005. This more accurate finding allowed me to start taking medications that dampened my immune system preventing it from attacking the lining of my intestines. As a result, I absorbed my food better, bulked up in muscles, and had more energy. It felt like I was being released from a prison and I immediately wanted to take advantage of my new body so I went from a very sedentary, disconnected, lifestyle to one filled with exercise, people, and activity. So many things are tied to health; when it improves, everything improves. 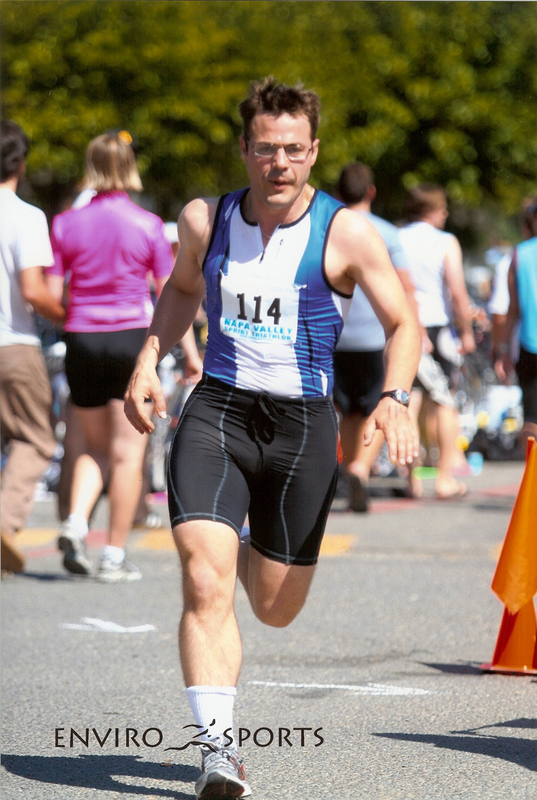 I started running, cycling, and swimming, a training that led to the completion of two triathlons. I completed a Health Care Interpreter Program to assist non-English patients at hospitals and then increased the hours that I worked from 20 to 30 hrs per week. Mill Valley, California (2008). 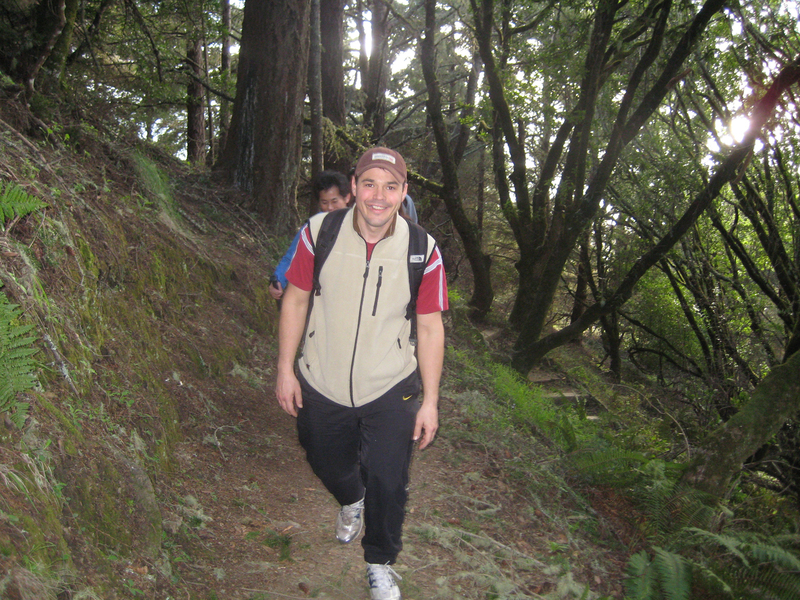 Enjoying fitness: Hiking from the seaside up to the top of Mount Tamalpais. With the additional income I paid off $18,000 of student loans, climbed my way out of debt, and reached a net worth of $0 (zero). Shortly after I bought my first stocks and bonds and I was finally able to move out from my mother's place and rent my own studio. Lake Berryessa, California (2008). Feeling strong again: Final sprint at my first Triathlon competition. San Francisco, California (2007). 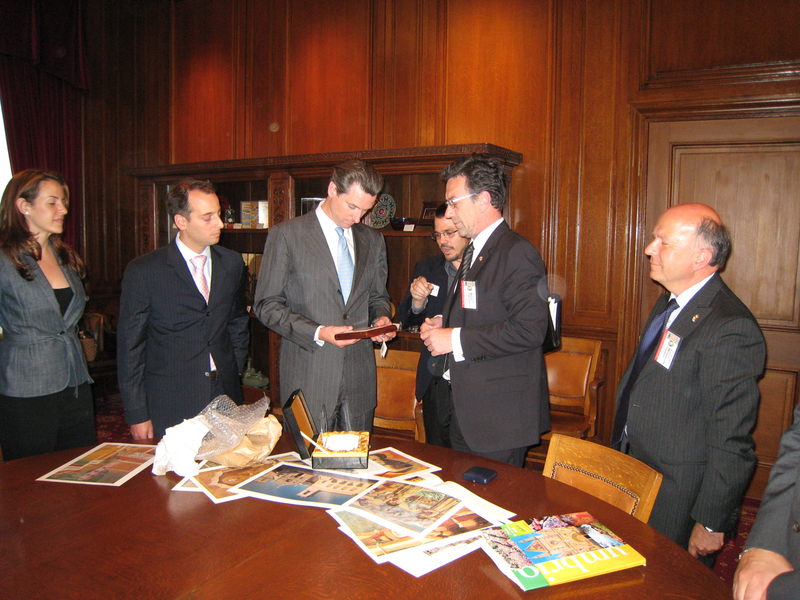 Service at the highest level: Interpreting for our mayor Gavin Newsom during a visit by an Italian foreign delegation. in a different article I summarize the oppotunities of illness and this is another reading that you may find helpful. I have always felt that I have a loving nature, but I could not witness my own goodness because I did not have the power to act on it. I was too busy trying to stay healthy to be of service to others. So the biggest gifts of new-found health have been to blossom by exploring my full potential and the privilege to self-nurture and to serve others. This experience has taught me to separate my identity from my body; the essence of a person runs much deeper than flesh and will outlast the body that hosts it. On the other hand, right now your body is the main tool by which you perceive reality, express your true nature, and connect with others. So take care of it and use it for the most significant and meaningful purpose you can imagine.